Natural iridescent plant oils from decaying leaves coat the surface of this little pool of water, resulting in a kaleidoscope of colors. 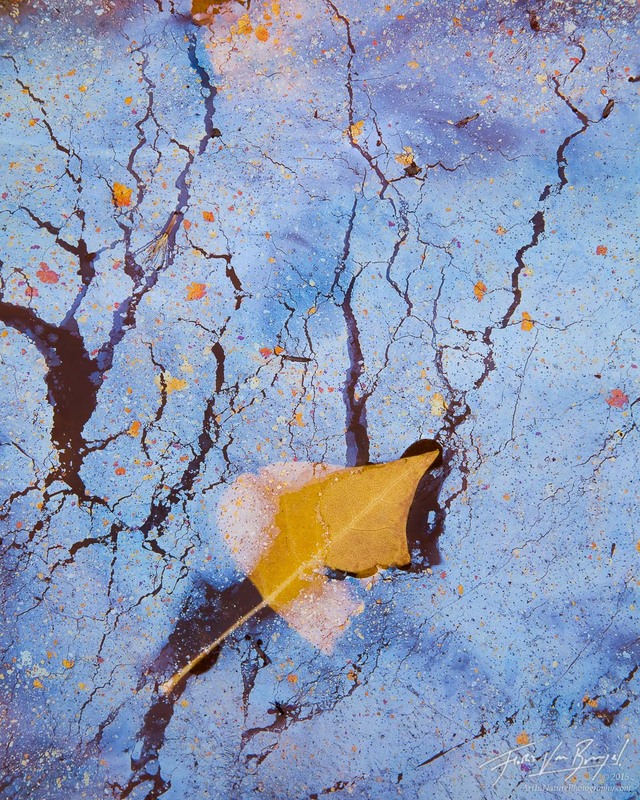 The surface layer is very fragile and cracks with the slightest movement of water, in this case likely due to the motion of the cottonwood leaf floating in the colorful soup. I found this little scene in Utah's Escalante National Monument.